Who will blink first in crunch month? 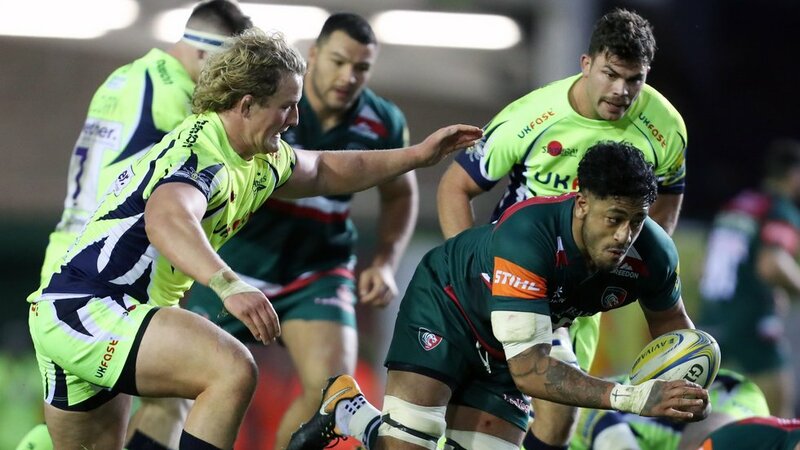 There are few sure things in Premiership Rugby this season, but the final placings being determined only on the final weekend is now looking nailed-on. After the Six Nations period and the stop-start nature of the last few weeks with Anglo-Welsh knockouts and European competition for the chosen few, there is so little room for manoeuvre in the league table that Round 22 will exercise as many minds as it does bodies. Defending champions Exeter Chiefs are eight points clear at the top of the table with four rounds to play, but behind them just six points cover the next five teams, while eighth-placed Bath are just one result behind fifth place. Everyone except Chiefs and Sarries would argue that even the top two places are still up for grabs, with Wasps gatecrashing that party until defeat at Welford Road two weeks ago. You could still argue a case for just about anyone to get a toe in the door of the top four and certainly the European Champions Cup places guaranteed by a finish in the top six. The stats behind the stats are interesting too with Wasps basing their challenge on an attack that has yielded 62 tries in 18 games, while Exeter and Saracens have conceded just 35 each. The Chiefs also have a ruthlessness befitting defending champions, with nine try bonus points from their 13 wins, while the noted efficiency of Sarries has allowed them to build a points difference of plus 209, which is 60 more than the league’s next-best tally. Newcastle Falcons and the Tigers do not figure on top of any of those stats, though they are both very much still in the fight. Falcons are three points ahead of Tigers despite scoring 60-odd points fewer in their 18 games so far – and they still have European Challenge Cup aspirations after earning a semi-final place with victory over French visitors Brive last Friday. It is as tight as the competition has ever been. Where most campaigns would see two or three questions still to be resolved, this season has conundrums all over the league. Will Exeter Chiefs win all four of their remaining games, against Gloucester and Sharks at home and away to Irish and Quins to cement that top spot? What will the end of their reign as European champions mean to Saracens as they prepare to face Saints away, Bath at home, Irish away and then Gloucester at home in Round 22? Who will blink first with Wasps, Newcastle and Tigers leading the charge outside the top two? Tigers welcome the Falcons in Round 21 and then Wasps have to go to Newcastle a week later in two huge head-to-head encounters. How much of a dent in their rivals’ ambitions can Gloucester make with fixtures to come against Chiefs and Sarries away, and Bath at home? Could it be Sale Sharks who emerge as potential ‘kingmakers’ with Wasps and Tigers still to go to the AJ Bell Stadium as well as trips to Falcons and Exeter in their run-in? With Tigers at Twickenham and then trips to both Saracens and Gloucester, can Bath do it the hard way as they start Round 19 eight points off the top four? Can Tigers continue their run of appearances in the knockout stages of the season? There are no easy answers, no easy points and no way of predicting what can happen next. Hold on to your hats!